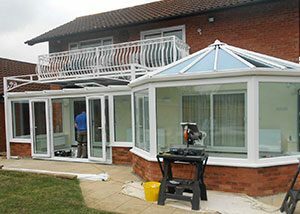 We offer a start to finish process – our expert team will design your conservatory working with you to achieve the room that you want including support, if required, for any planning applications and building regulations. For more information and photos, select a style below. Sometimes also known as a Georgian. 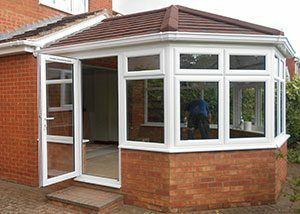 A flat-fronted style that offers excellent use of floor space due to a square or rectangular internal shape. 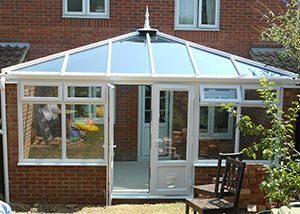 Based on the Edwardian, however the pitched roof appears on both sides of the conservatory. Its distinguishing architectural feature, a bay front, with either an angled (3 bay) or slightly curved (5 bay) front, combined with a pitched roof. 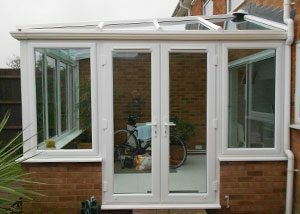 Ideal for properties with limited space under the eaves or an awkward area in which to fit a conservatory. 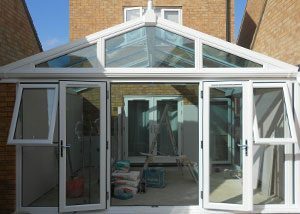 A lean-to offers a variable pitch to suit your home. 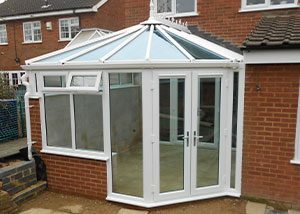 A variation of the typical lean-to design, which provide a more aesthetically pleasing look to the conservatory. The roof is divided into a main front section and a side section. 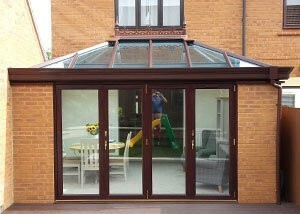 Same as the Hipped Lean-To however the roof is divided into a main front section and further side sections. A high roof slope and the same floor space as a Georgian. The front panel of the roof remains upright rather than sloping back to the centre as on a Edwardian. The L, P &amp; T shapes take their name from the plan view of each design. 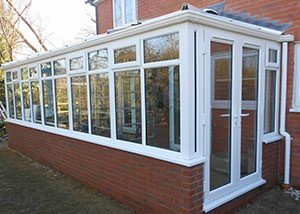 Ideal for larger conservatories, a P-shape can combine, for example, a lean-to and an Edwardian. The styles are better suited to larger properties. 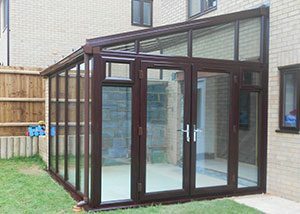 Ideal for properties that have restrictions, wanting to connect buildings (garage to house) or awkward areas of space to play with.